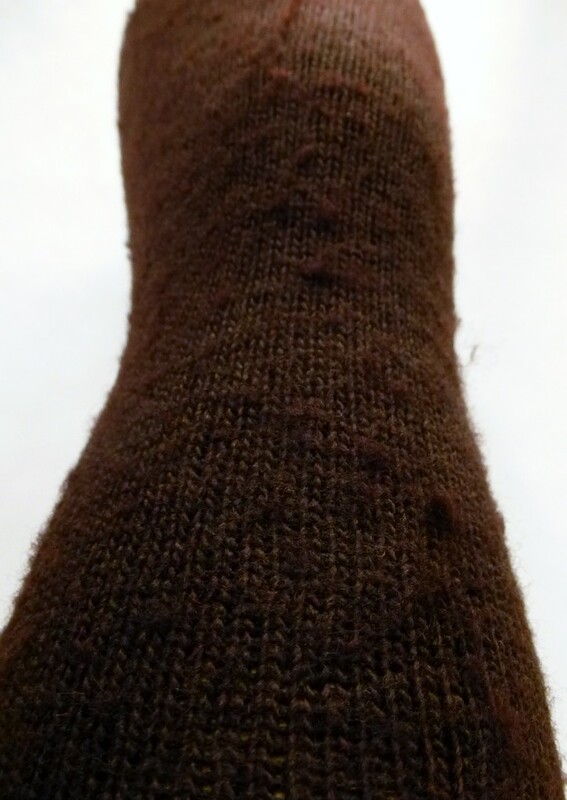 Heavyweight Wool Stockings in brown. Available in One Size Fits Most. Just the same as our super soft and warm heavyweight wool stockings, except these are covered in wee woolen nubs. They will fit and wear as nicely as our others, but just have a bit of a unique appearance. Great for folks who like textured knits and a good deal.